The Lucia Container Home in California is a multigenerational project for the Dowd family. 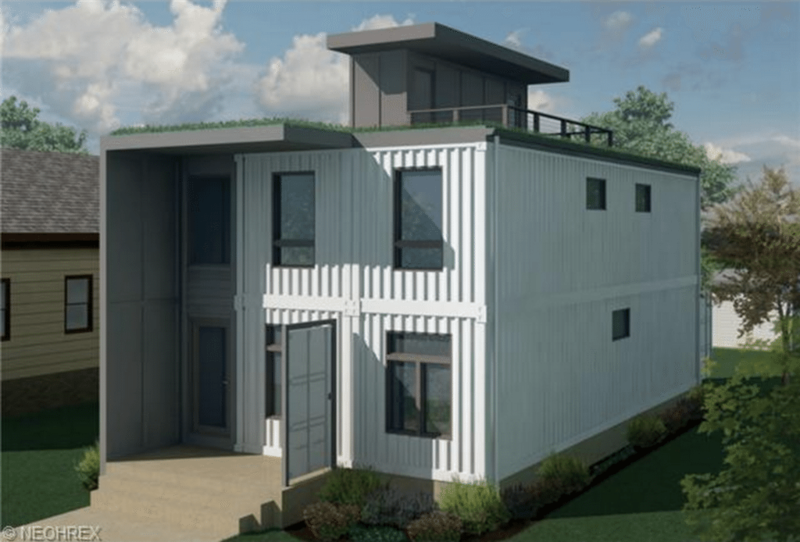 The shipping container home was in the works for more than 10 months before receiving the proper city approvals. The home will be constructed with other eco-friendly amenities such as bamboo flooring, an irrigation system and energy-efficient appliances. Shipping container homes are nothing new, but the way in which they are constructed and designed have come a long way. The Lucia Container Home in Redondo Beach, California, was in the works for more than 10 months before production on the multigenerational home began. The design and development team received city approvals for construction, which is expected to begin this fall and be completed by fall 2016. The biggest concerns were creating a sustainable residence that doesn’t break the bank and is still aesthetically pleasing. Paula Dowd and her family are working closely with the developers to create a home that is perfectly suited for their situation. Three generations of the family will be moving into the home, and the biggest concerns for them were creating a sustainable residence that doesn’t break the bank and is still aesthetically pleasing. The answer for the Dowd family was a storage container home, which they envision as being the most sustainable container home in the state. The home will be constructed with 21 Corten steel cargo containers that will be upcycled and built off-site. This type of construction helps to expedite the process because while the parts are being built (they are brought to the site and reconstructed), other parts of the home can be completed. The family is using other environmentally friendly materials for the home, including bamboo flooring, recycled glass countertops, smart irrigation and energy-efficient appliances. It was important to include a grey water system and water-wise landscaping, too. Adventurous homebuyers looking for an alternative to the normative brick and wood homes can build these types of eco-friendly homes on their own — there are plenty of build-your-own home resources available, although they are not all as elaborate as the Lucia Container Home. A two-story shipping container home. However, real estate agents throughout the nation are finding specialization in selling these types of homes. Michael Rastatter, an Ohio-based real estate agent, is one of those such people. One of his current listings is a modern, industrial, two-bedroom single-family home designed out of storage containers. The 1,929-square-foot home is listed for $351,800 in Cleveland. The property is estimated to have half the energy costs compared with another newly built home, and it is made out of a variety of different reclaimed materials.